Well the craziness of following the UHTC around Australia and New Zealand is over for me, and has kind of morphed into the craziness of going back to normal life (while struggling through the “summer cold” which I call Hanging Rock’s Revenge :-)). There are still a few stray thoughts, half composed during my four weeks of travels, that I may still post here before closing the blog for good. One thing that I did manage to spend quite a long time thinking about as I travelled around was (perhaps not surprisingly) Leonard’s music. In fact, with many many hours spent on aircraft with only a trusty iPod for entertainment, I managed to re-listen to quite a few CDs which Our Man has touched in one way or another, and to consider them in the context of the rather unexpected trajectory his career has taken since going on tour in 2008. Maybe it’s a little heretical to call Leonard’s most recent studio album part of his “Apocrypha” … but it’s always struck me as something that really stands apart from the earlier direction of his recorded music, representing a divergence into what I can only think of as a more rarified, more capital-A “Artistic” modality. 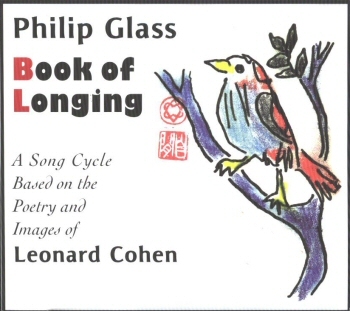 Leonard’s poetry has frequently lived in this kind of heady realm, but his songs have historically been a little less high-concept, or (in the very best cases) found a way to bury high concepts inside some deceptively simple words to make them meaningful on many different levels. I re-listened to this disc early in my travels, with one particular goal in mind — I got to thinking about how strange (maybe even unprecedented) it was for an artist like Leonard to tour the world so comprehensively and to *not* play a single song of his most recent record. We’ve heard so many tales of established artists doing the exact opposite, that I thought I would relisten to try to understand what decision-making process might have lead to such an unlikely outcome. Well, after a re-listen … it’s really not too hard to see. Dear Heather is really Leonard operating (for the most part) in a pensive mode that doesn’t seem to me very compatible with the fairly energetic performances and arrangements that we have come to expect from the current band, and really from Leonard himself. This is actually a very listenable CD, and always struck me as what it would sound like if the mind of Leonard Cohen had been born into the body of a sensuous female Jazz singer. Perhaps that’s a strange image, but it’s a combination that works. Again, however, it’s Leonard operating in a kind of slow and pensive modality. I’ve always struggled a bit with this expedition into pasting Leonard’s words over operatic-styled music (and had similar feelings about Night Magic back in the day). The poems are great … the musical performances are technically impressive, but somehow the two don’t gel for me into a satisfying whole. 2008: A Fork In The Road? After listening to these three items of “Cohen Apocrypha” back-to-back, my travelling self was left with a strong feeling that post-Ten New Songs, Leonard’s musical endeavours were heading down a particular kind of road that while intriguing for its poetic beauty, and its conceptual pensive reflections on the nature of things, would *not* have delivered us something like the funky blues of The Darkness or the epic harmonies of Born In Chains. So, how did we get here? Simple. Leonard’s dire financial misfortunes forced him into a situation where the World Tour became a reality, and from the repetition and discipline of performance I believe he’s been able to get back in touch with some of his musical “roots” … reacquainting this musical/performance aspect of his creative abilities with the poetic/meditative aspect (which obviously never went away). Lots of people since 2008 have observed that many good things have come from the terrible actions of Leonard’s former management. I guess my observation just adds one more to that catalogue: the unexpected joy of the World Tour 2008-2009-2010 has, I believe, re-energized Leonard in a way that I think has fundamentally changed the musical “road” he is currently heading down. To the point where I have great hopes that the next studio album (which is supposedly what happens in the new year) will seem as far removed to the Apocrypha discs I mentioned, as they seem from The Essential Leonard Cohen.